Our flat charge means that your costs are normally limited to £2.99 per party for (GB) Pound transactions or €3.49 per party for Euro transactions  that really is it for transactions up to £10,000 / €15,000 ! AND your money earns interest whilst with Transpact. Transpact was set up with the goal of making life easier for people who do business at a distance, so we want to keep prices as low as possible. We have set a fixed fee for transactions of £2.99 / €3.49 / $9.99 for each user (as an option, the total transaction fee can be paid entirely by one party, or divided as you wish). Unlike other online payment services, we do not charge a percentage of the payment amount. The price includes Transpact's local wire transfer and money sending and receiving fees (includes international transfer fees for US Dollars), so for these payments there are no extra add-on charges to get the money to you, unlike some of our competitors. To use our service, please ensure you follow our Important Rules, which set out important obligations about our service. Flat fee of £2.99 per GBP transaction / €3.49 per EUR transactions / $9.99 per USD transaction for buyer and seller (the total fee of £5.98 / €6.98 / $19.98) may be split between you as you wish). For every £1 of additional interest your transaction gains, a fee will be charged equal to 18.15p (likewise for Euros and Dollars). In other words, if your transaction amount earns £100 interest, then you will receive a net increase to your transaction amount of £81.85 and a fee will be charged of £18.15 (likewise for Euros and Dollars). For US Dollar Transactions Only: Any payment made in USD has a USD payment fee of $15 subtracted from the payment. Transactions in other currencies do not suffer this charge. In a standard UK / EU / USD transaction there are normally no other fees - that really is it (see additional charges for exceptions). We also ask you to pay £0.01 / €0.01 / $0.01 whenever you authorise a payment to be made, but this is not a fee because, if made correctly, we will return your payment to you in full. The buyer and sellers' fees added together for a standard Transpact transaction are shown below. Please remember that these are the combined fees of the two parties, and at least one of the parties, if not both, will pay much, much less. Please also remember that the table below only shows a standard transaction - additional fees may be payable if the transaction is non-standard (see additional charges for exceptions). You can make GB Pound payments to us from your UK based bank by telephone banking or by internet banking using the normally free Faster Payments Service (FPS - see your bank's conditions). 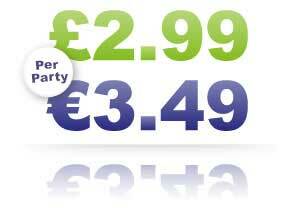 Euro payments can be made to us from your EU based bank using fast and low cost SEPA bank-transfers. US Dollar payments can be made to us by transfer from any bank account in a country from which we accept payment (see our FAQ page). If you transact in Euros and you do not have an EU based bank account, or if your transaction is in GB Pounds and you do not have a UK based bank account, then see additional charges for more information. US Dollar transactions are not subject to these surcharges (they already include the fee). For other currencies, pricing will be similar to US Dollar transactions, but please contact us in advance. And as an FCA authorised company operating under the Payment Services Regulations 2017 (PSR 2017), you are able by law to take any dispute with Transpact involving payment services under the PSR 2017 to the UK Government's Financial Ombudsman's Service, if you cannot resolve the dispute with us first. e.g. Only 57 pence for £20 !